During the last week I have heard some noise regarding another “real Jesus” book “Zealot: The Life and Times of Jesus of Nazareth” by Reza Asla. This week on Catholic Answers I heard a caller ask Jimmy Akin about it and he couldn’t say anything about it since he hadn’t read it. Now though since he has read it now he has posted 14 things you need to know about the new book Zealot. Jimmy Akin critique goes beyond some of the complaints I have heard about the author of the book and how the book has been presented in the media. In fact those complaints are really not warranted and it is the scholarship (or lack of) in the book that is where the problems lie. VIRGINIA BEACH, Va. – A church that has offered blended Roman Catholic and Episcopal services for three decades has been told by the Roman Catholic Diocese of Richmond to meet in separate rooms for Holy Communion. Clergy at the Church of the Holy Apostles were told to devise a plan that allows parishioners to remain under the same roof but worship separately. The plan is subject to approval by Roman Catholic Bishop Francis X. DiLorenzo and Bishop Herman Hollerith of the Episcopal Diocese of Southern Virginia. Parishioners told the Virginian-Pilot ( http://bit.ly/Ugpi8P) the blended church has allowed families in mixed marriages to worship side by side and strengthen their community. The Rev. Michael Ferguon, the parish’s Episcopal leader, said representatives of the Catholic diocese were supportive of the ecumenical congregation at a meeting this week but were firm on some degree of separation of worship. For instance, the use of a combined liturgy in which the priests move to separate altars in the same room was deemed unacceptable, he said. They instructed the parish to come up with a plan that provides for separate liturgies in separate rooms, Ferguson said. “What was left in our laps was to develop a way to be together in those parts of the service where it would be acceptable to the diocese for us to be together and then to separate.” Ferguson said. I didn’t realize this situation still existed. I had posted on it several years back and thought it would be cleared up after they received their new bishop. Though I did have fun with the idea back then and created a possible bulletin for such a blended church. Letter from the PastorsWe would like to take this opportunity to thank our combined congregations for the progress we have made in the last couple of years. to keep saying that the Anglicans have invalid holy orders. In today’s sermon titled “That they may be Two” we will jointly preach from the Gospel of John on Jesus’ high priestly prayer. Wednesday Night Bible StudyRegister now to start our through the Bible Classes. Exploring the 73 books of the Bible –Immaculate Conception Hall. These seven and two week series begin Tuesday at 7 pmThe Seven Sacraments —Immaculate Conception Hall. Vatican II —Immaculate Conception Hall. Catholic or Anglicans. Since we have such a wide range of theological products to offer we should have a successful evangelization rate. and/or baptized and proceed from there. That Anglicans may convert to the true faith. That Roman Catholics may convert to the true faith. as the 1662 English Book of Common Prayer. English Book of Common Prayer. For the poor souls in Purgatory, that is if Purgatory exists. The Truth about ContraceptionNow on Fridays at six. Humana Vitae – Why Pope Paul VI was right.–Immaculate Conception Hall. Confession ConfusionBecause of problems in the past of mistaken cross-confession we have painted the Roman Catholic Confessional red and the Anglican Confessional blue. considered a sin in one might not be in the other. Homosexuality and the ChurchTo help stop the confusion these classes will begin Saturday night. pm @ Immaculate Conception Hall. aliens who are predominantly Catholic. Some things are disturbing and funny or just disturbingly funny. Southern -Fried Catholicism calls it Hail-o Mary. Well she is Cat-tholic. 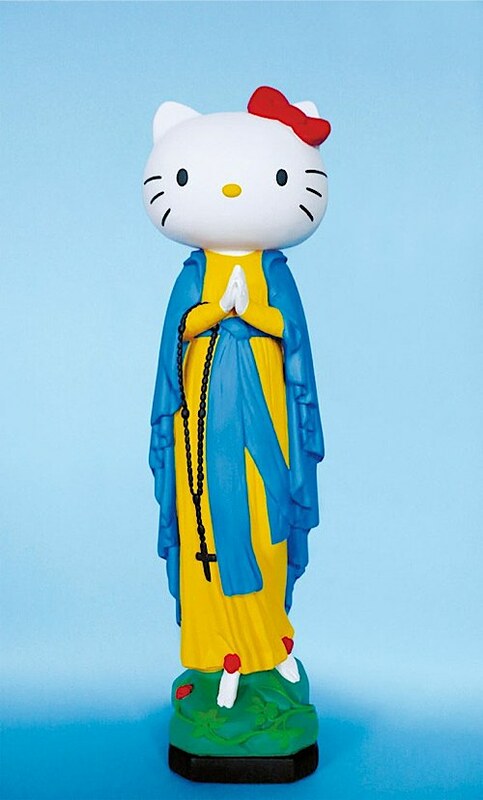 Other cultural mash-ups of Mary from a French artist that would make riot the French embassy if I didn’t have a disturbed funny bone. You just got to love a post that includes the sentence “nameless Mouth of the Dark Lord of Newsweek” as used by John C. Wright responding to the article by Evan Thomas on the “The Case for Killing Granny”. John C. Wright shows exactly why Mr. Thomas is wrong and is really being dishonest. Americans are afraid not just of dying, but of talking and thinking about death. Until Americans learn to contemplate death as more than a scientific challenge to be overcome, our health-care system will remain unfixable. We have often heard to explain things that Americans are afraid of death and in a culture that just about worships the body, or at least young bodies, so there is some truth to this. Though it would not explain why it is that many who are religious and who know we are more than just a body would object to euthanasia and doctor assisted suicide. It is also rather interesting that he would talk about the need to “contemplate death as more than a scientific challenge.” This of course exactly what the Church has done throughout the ages. St. Thomas Aquinas kept a skull on his desk to do just that and it is a good to think about our own mortality. But the contemplation of death unlike what Mr. Thomas asserts does not necessarily lead you to be more accepting of removing healthcare, but of understanding the proper respect for the human person whether they are at the end of life or not. There are of course the distinctions in Catholic thought between ordinary and extraordinary care. Though often what was once considered extraordinary care can become ordinary care. Mr. Thomas is making no such distinction as the title of his article suggests. The problem with government healthcare is that it also does not make such distinction and will assign the divide between ordinary and extraordinary as to the costs involved. John C. Wright’s critique is much better than mine, just had to add my two cents. Chance that I will watch this mini-series is zero.